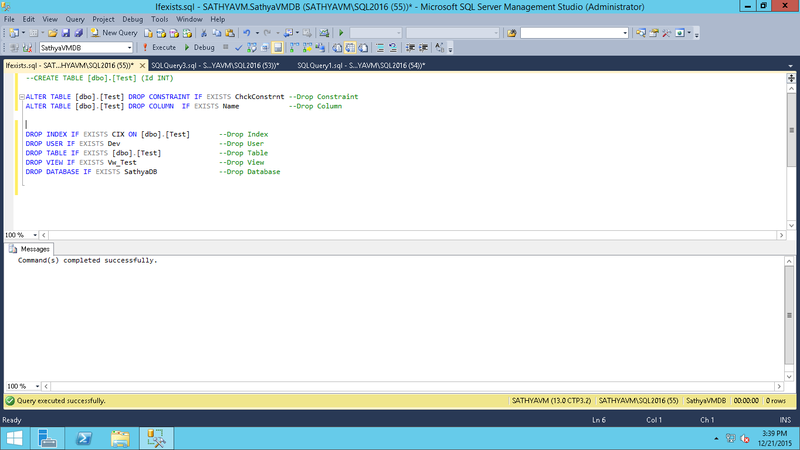 In SQL Server 2016 many T-SQL enhancements were introduced. In this article, I am going to share one among them. In SQL Server 2016 there is a new way to drop objects with simplified syntax.